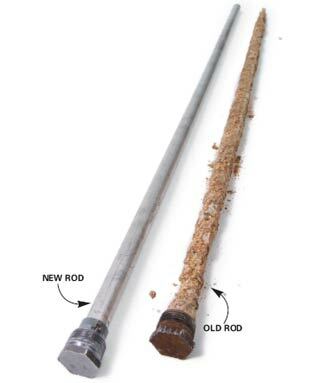 “Sacrificial anodes” are installed at the factory to prolong tank life. 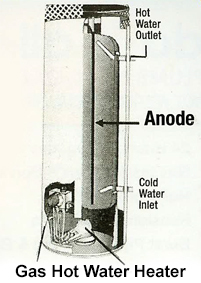 The “Sacrificial anodes” is made from metal that corrodes faster than the tank. It’s usually eaten away by corrosion within 5 years. After that, the tank starts corroding and then it’s only a matter of time before you have to buy a new hot water heater – unless you do something to stop the cycle. If you have a gas, electric or solar storage water heater more than four years old, it needs to be checked. New anodes fully installed from $220-00.